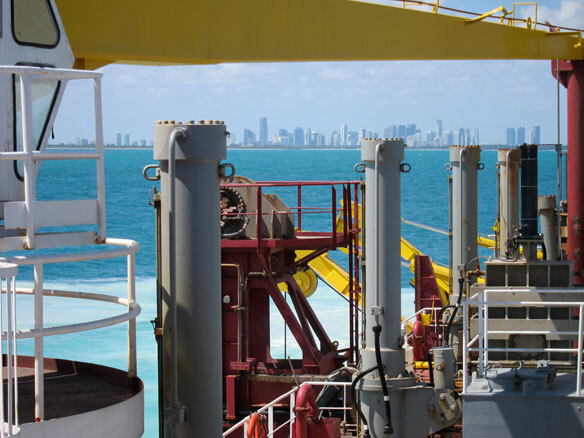 On-board a sand dredger, offshore Miami. Between 1995 and 2002, the U.S. federal government spent $787 million on beach nourishment and has historically subsidized two-thirds of total nourishment costs to coastal communities. A section of Hawaii’s famed Waikiki Beach is starting to erode, less than a year after the completion of a $2.2 million project to replenish the sand on about 1,730 feet of shoreline that had been suffering from chronic erosion.